Provide comfort for the family of Jane Cook with a meaningful gesture of sympathy. Jane Marie (Belanger) Cook, 89 (just short of her 90th birthday) of Clarksburg, MA died on April 12, 2019. She was born in Clarksburg, MA on July 12, 1929 a daughter to the late Isadore Victor and Eva (Thouin) Belanger. She attended local schools in Clarksburg (Center School and Houghtonville) and attended Drury High School in North Adams. She was employed at the Gale Shoe Shop, Strong Hewitt Co. and the Bennington Woolen Mill. She was primarily a loving mother, grandmother and homemaker. She was known for her “green thumb” and her love of family, canning, gardening, and being a strong support for those in immediate need whether it be family, friends, neighbors or strangers. Mrs. Cook, earlier years was a communicant of the former Notre Dame Church, as well as St. Francis of Assis, later St. Elizabeth of Hungary Church in North Adams. She was active in her community volunteering with the Clarksburg Council on Aging. She was a board member/member of the Clarksburg Senior Center, now known as the Clarksburg North County Seniors, the Catholic Daughters of Isabella with her sister based out of Brattleboro, VT and le Cercle Francais, North Adams, MA. She also provided transportation for those that were housebound in later years for other seniors in town. She married her husband, Carl Herman Cook on June 12, 1948. He passed away on March 27, 2002. In later years she was able to do some traveling and enjoyed casino visits. Survivors include her daughter, Linda Gravel and her husband, Jay (John, Jr.) of Clarksburg, MA, two sons; Gary Cook with whom she made her home; and John Cook and his wife, Mary of Clarksburg. She also leaves four grandchildren; John and (Tomaro); Jason Cook and (Rachel) of Texas, Brian Cook of North Adams and Rebecca (Cook) and LeRoy Johnson of Pittsfield. She leaves seven great grandchildren; a sister, Carol of FL and sister-in-law Eileen Belanger of FL; nieces and nephews. She was predeceased by a son, Bernard in 1978 and her brother Robert Belanger in August of 2018. She also leaves behind a very special “grand-puppy” Buddy. FUNERAL NOTICE: A Liturgy of Christian Burial to celebrate the life of Jane Marie Cook will be held Wednesday April 17, 2019 at 11:00AM at St. Elizabeth of Hungary Church in North Adams, MA. Burial will be in Clarksburg Cemetery later in the spring. Calling hours will be held at the Flynn and Dagnoli Funeral Home, WEST CHAPEL, 521 West Main Street, North Adams on Tuesday from 4:00 to 6:00 PM. Memorial Donations may be made to the Rheumatoid Arthritis Foundation in care of the funeral home. To add to the Book of Memories, please visit www.flynndagnolifuneralhomes.com. 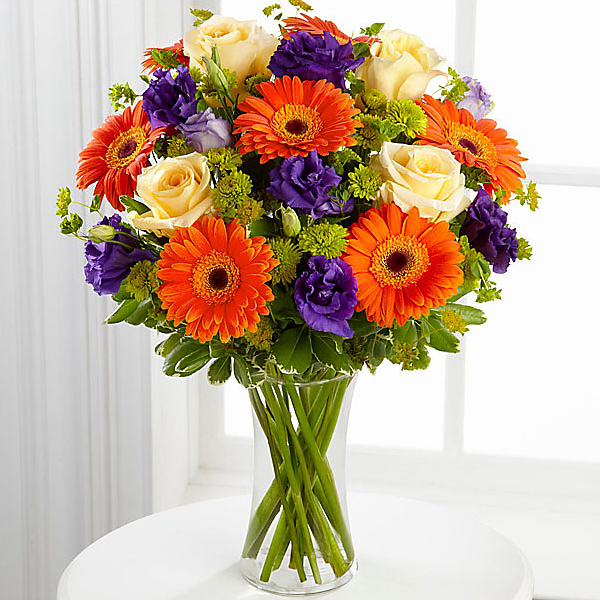 To send flowers in memory of Jane Marie Cook (Belanger), please visit our Heartfelt Sympathies Store. Jason, Rachel, Alison and Jason sent flowers to the family of Jane Marie Cook (Belanger). We will miss you deeply Grandma Cook. The Farm will not be the same without you, but your spirit lives on through us. Love always. Jason, Rachel, Alison and Jason purchased flowers for the family of Jane Cook. Linda, So sorry to read of your mom’s passing. Please be assured of my sympathy and know that you and your extended family are in my heart and my prayer. 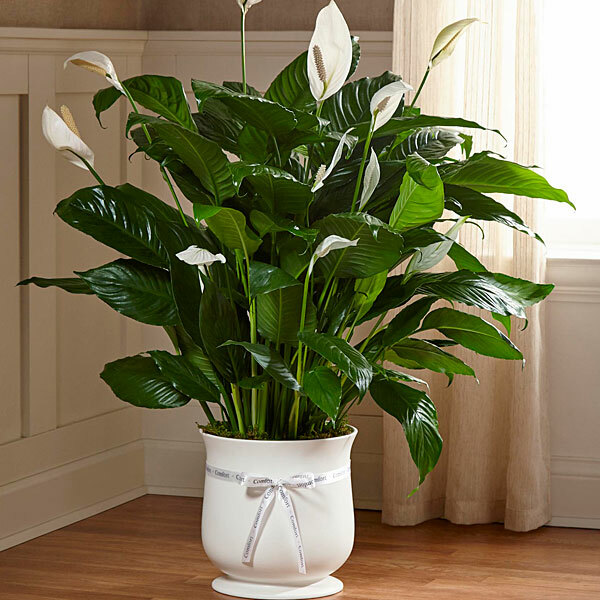 Heartfelt Sympathies Store purchased the The FTD Comfort Planter for the family of Jane Cook.